Japanese food and I didn’t always get along. I even remember spitting out sushi the first time I tried it. That’s how much I hated it. Fast forward a few years, I guess you could say Japanese cuisine and I are best friends now, but I know there are still a lot of dishes I have yet to acquaint myself with. One of them is Japanese curry. 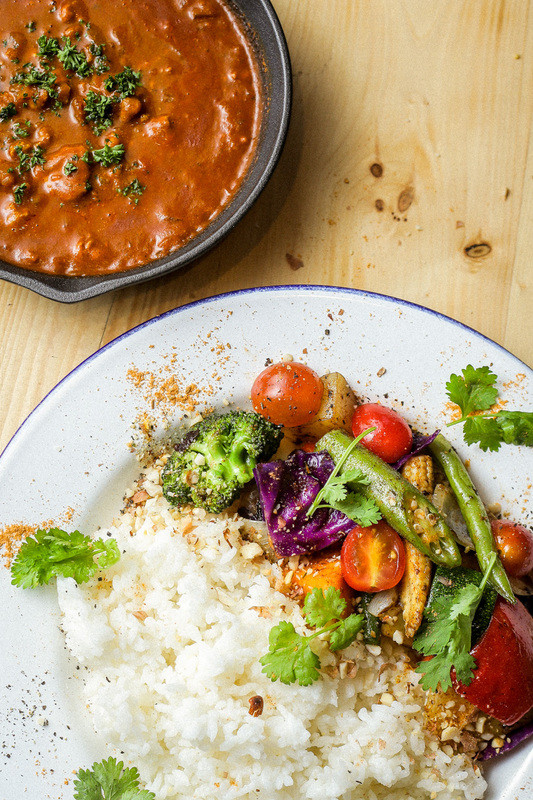 Not to be confused with Indian curry, Japanese curry is the underrated dish that’s beloved by many in the Land of the Rising Sun, perhaps more than sushi. Lucky for us, there’s a new Japanese curry house setting up camp in Makati, right smack in the middle of the central business district, too. Meet Camp Curry Philippines. Camp Curry is located along the strip of restaurants at Ayala Triangle Gardens. You’ll immediately get a ‘campy’ vibe upon entering because of the warm, cabin-like interior. It only makes sense that Camp Curry’s founder, Takashi Sato, is a camper and backpacker by heart. You can see it in the little details scattered around the restaurant, from their utensils to the camping paraphernalia hanging on the walls. The typical Japanese curry is served with rice, your choice of meat (either beef, pork, or chicken), carrots, onion, and potatoes, and of course the curry base itself. With Camp Curry, the options are a bit more versatile. “Our restaurant food is very healthy [because we use] a lot of vegetables,” says Sato, which you won’t find in a lot of curry houses. The first dish we tried is the Fully Loaded Chunky Vegetable with brown keema curry. The curry base is thick, peppery, and definitely hearty thanks to the addition of minced chicken. It goes very well with a fresh mound of broccoli, red cabbage, and cherry tomatoes, along with nine more seasonal vegetables. Next, we had the BBQ Pork Belly and Chunky Vegetable with red bisque curry. This curry base is particularly special because Sato exclusively created it for their Manila branch. The red bisque curry is a blend of tomatoes and fresh shrimp, which cuts through the smokiness of the grilled liempo. It also has that little kick of spice which can be adjusted according to your preference. Go as mild as you want or as hot as you want. 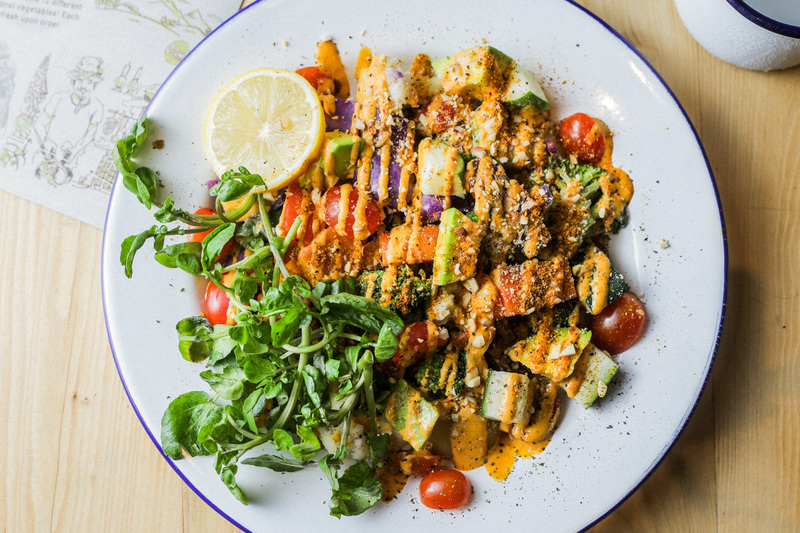 Camp Salad combines different seasonal fruits and vegetables, drizzled with curry-based dressing. 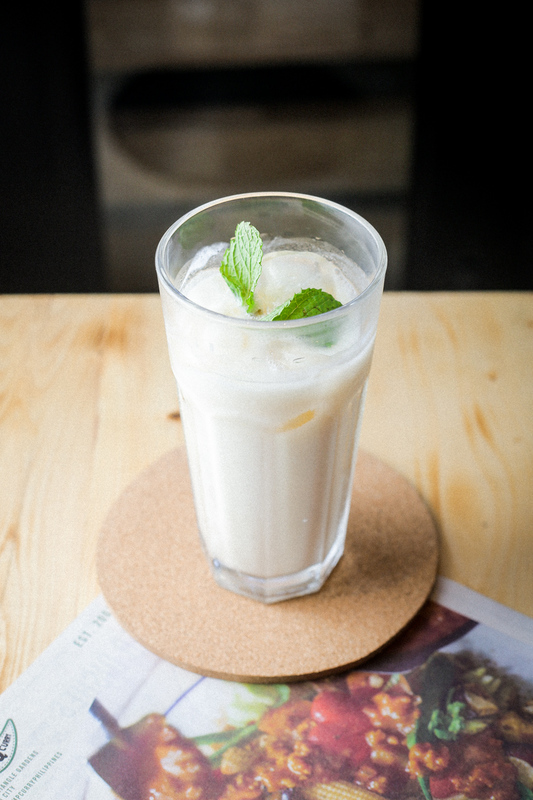 Lassi, a yogurt drink that can easily extinguish the heat in case you went a little too spicy. 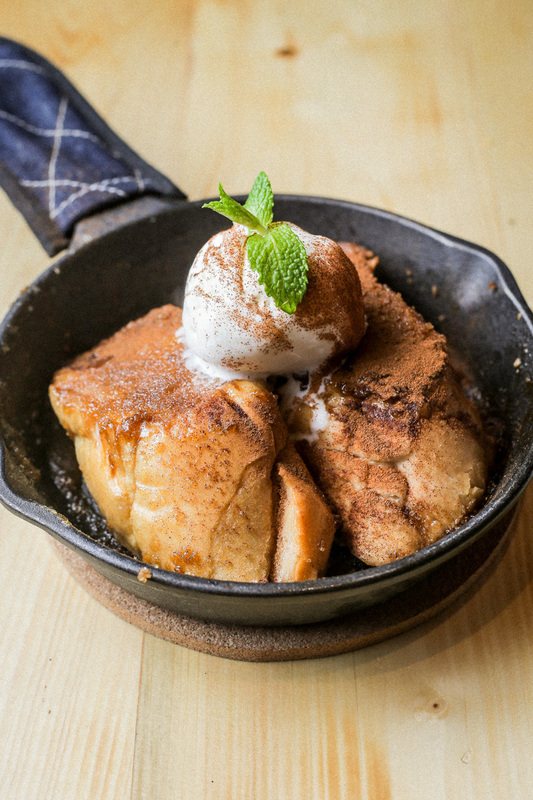 CAMP’s french toast features slices of milk-infused French bread in a rich egg batter, toasted in an iron skillet and served with vanilla ice cream. 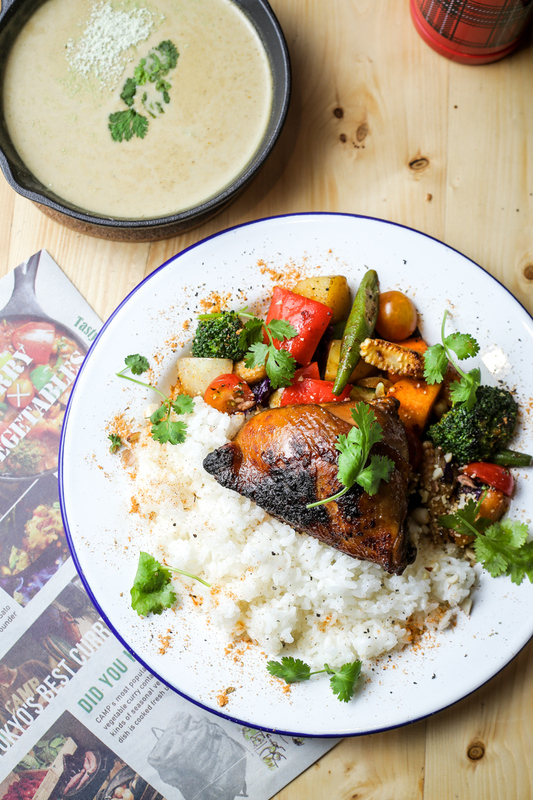 When it comes to the ‘authenticity’ of the dishes, the self-taught cook said that it’s all about what the people want. “I don’t want to push my taste to [Filipino customers]. I just want to adjust,” he said. This explains the easy and versatile dishes that would go perfectly with any of the curry bases. What started out as a small curry shop on the fringes of Yoyogi, Tokyo in 2007 has now expanded to 33 branches. For so long we were imbued with the idea that sushi or ramen is the “quintessential Japanese comfort food,” but wait until you get a taste of Japanese curry. Have you ever eaten ramen from a sizzling bowl?